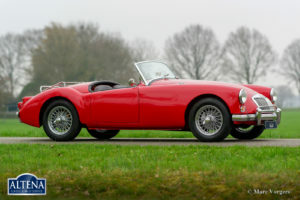 MG MGA roadster, year 1961. Chassis number: GHNL9812X, engine number: 16 GA – U – H 2937X. 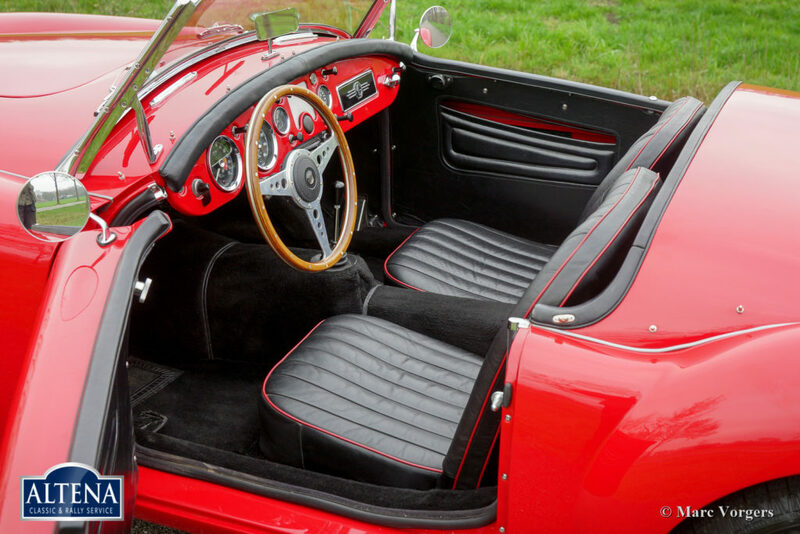 Colour red with a black leather interior trimmed with red piping. Black carpet, black soft-top and tonneau-cover. 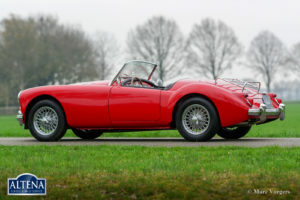 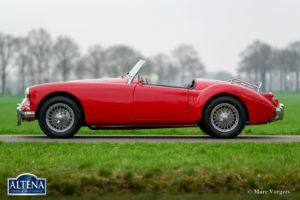 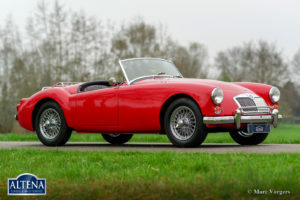 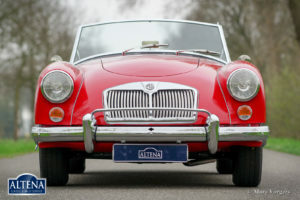 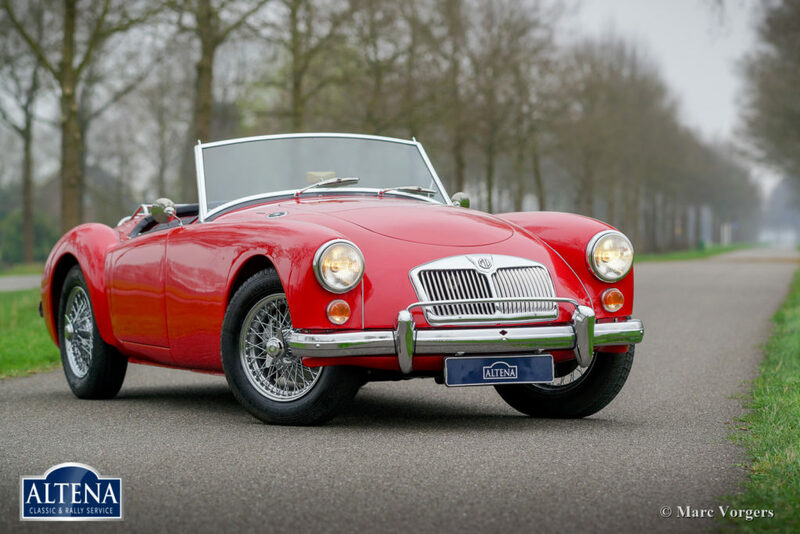 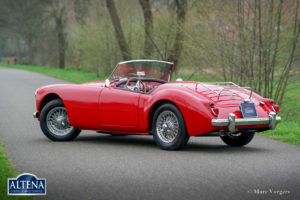 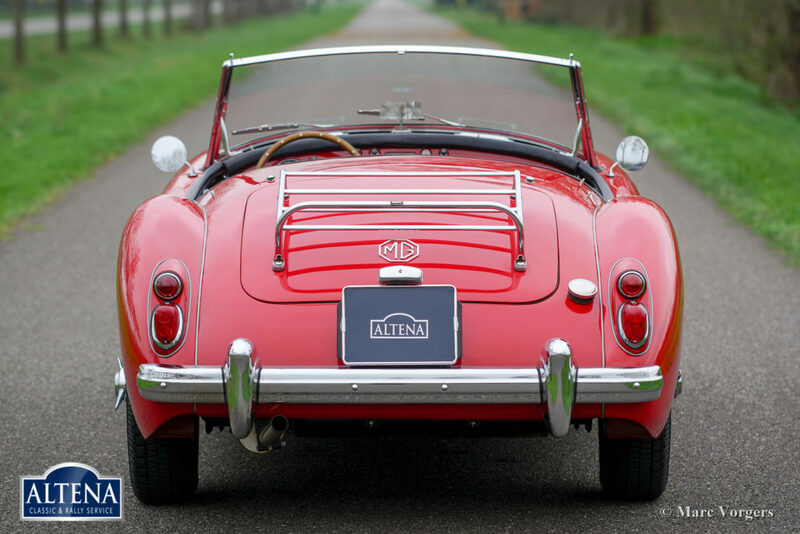 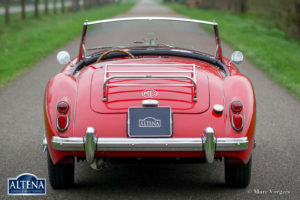 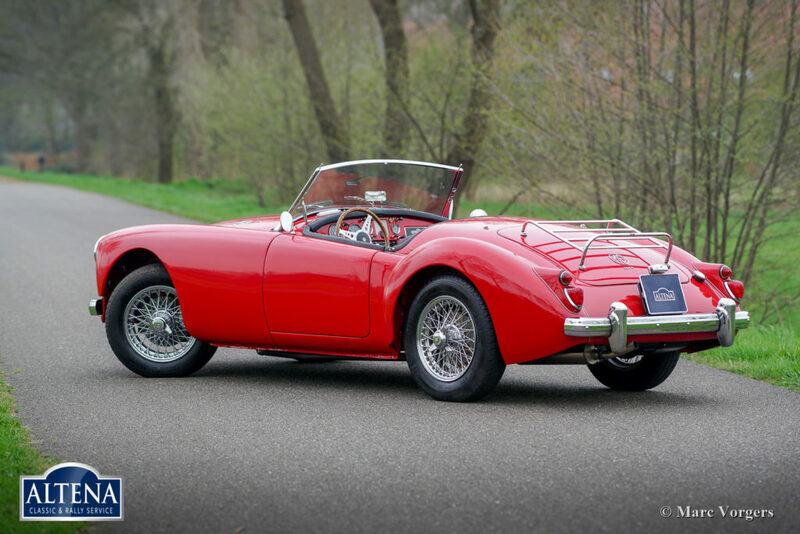 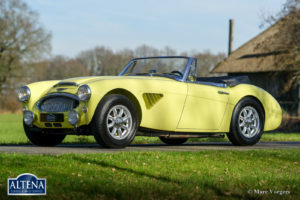 This gorgeous MGA 1600 roadster was imported from the USA to the Netherlands in the year 2001. 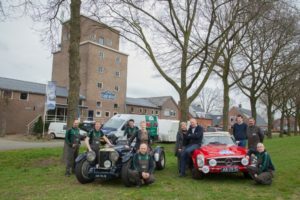 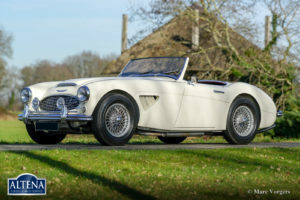 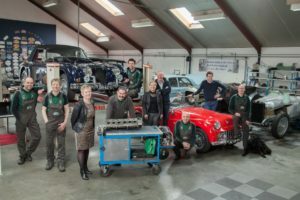 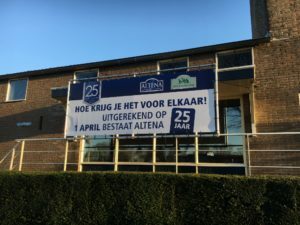 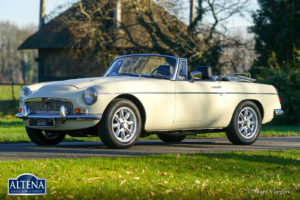 In the year 2015 – 2017 the automobile was extensively restored to perfection, everything was restored / overhauled, and a new wiring loom was fitted. 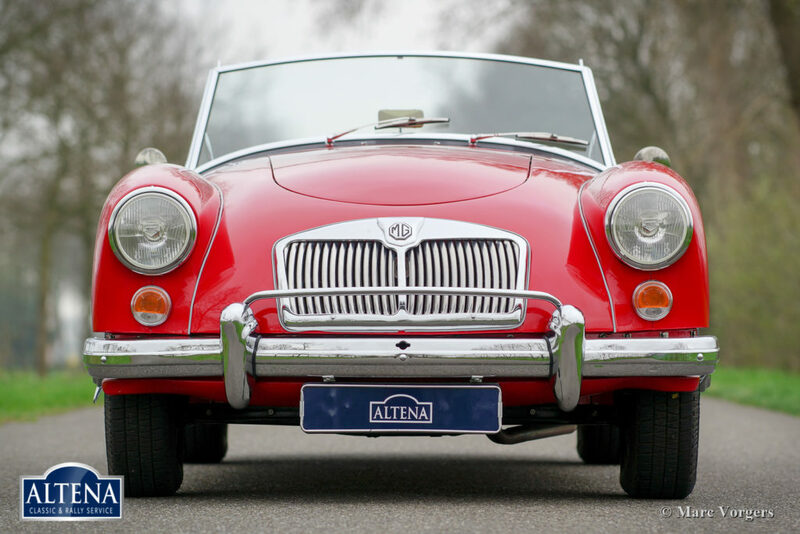 This fine MG is in superb TOP condition! A photo report of the restoration is present. 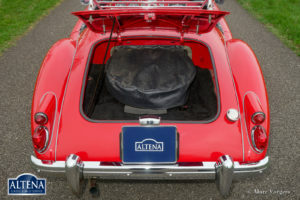 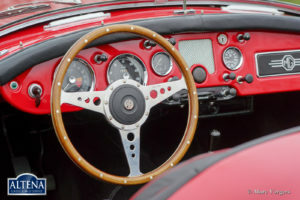 The car features chrome wire wheels, a chrome badge-bar, a chrome luggage-rack and a MotoLita steering wheel with wood rim. 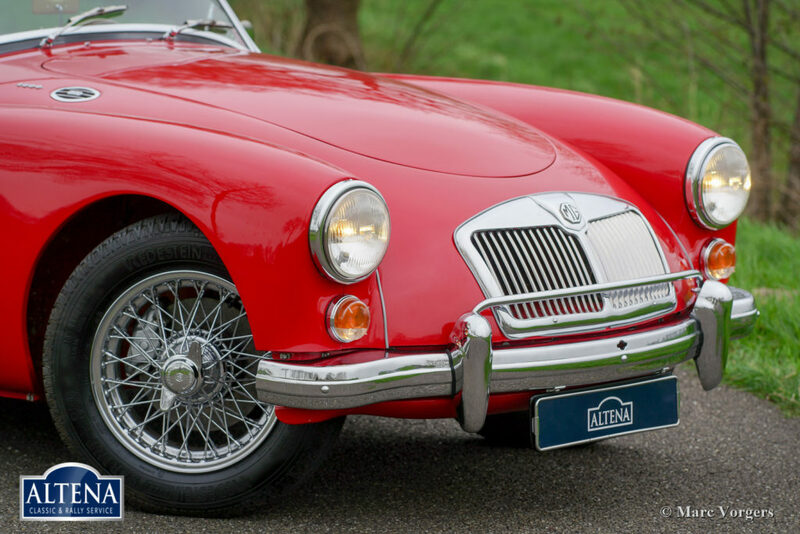 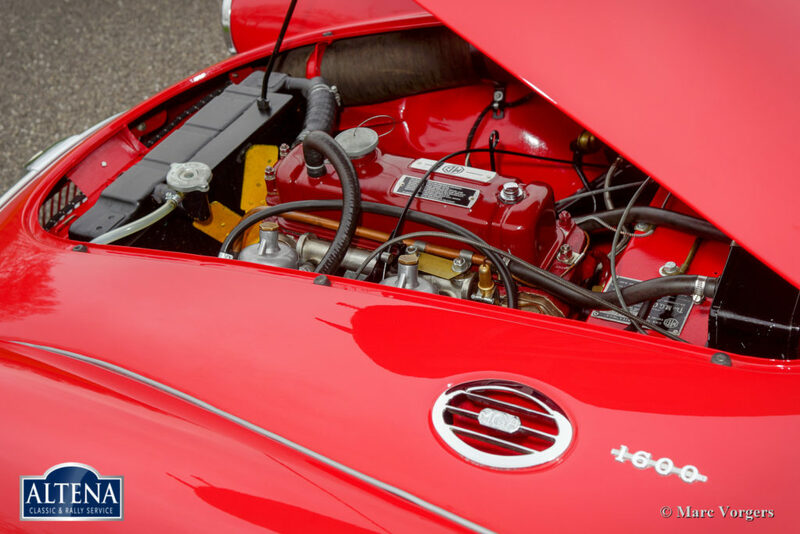 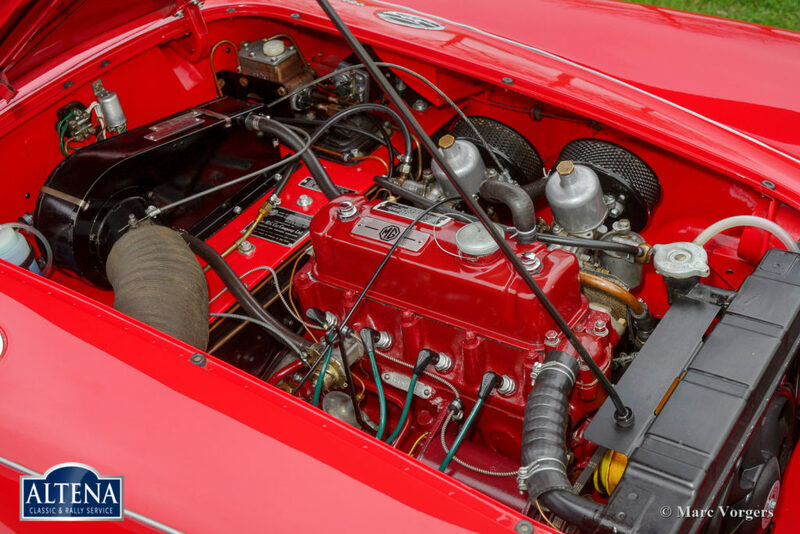 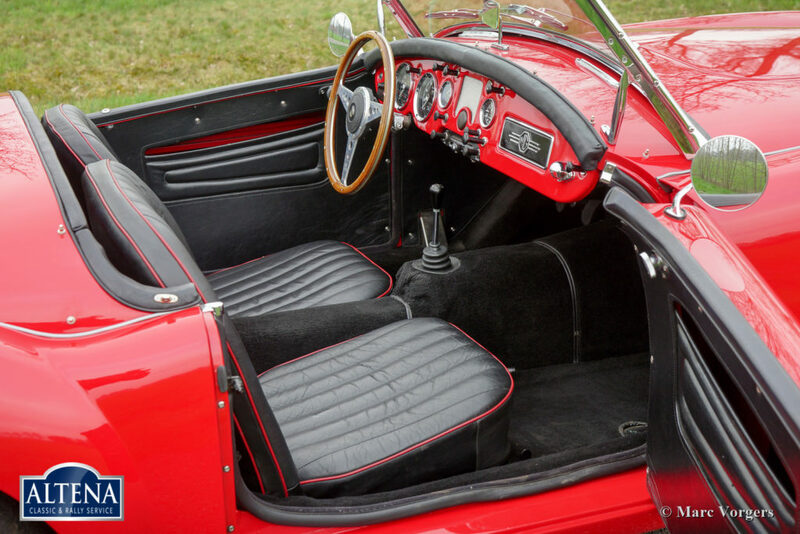 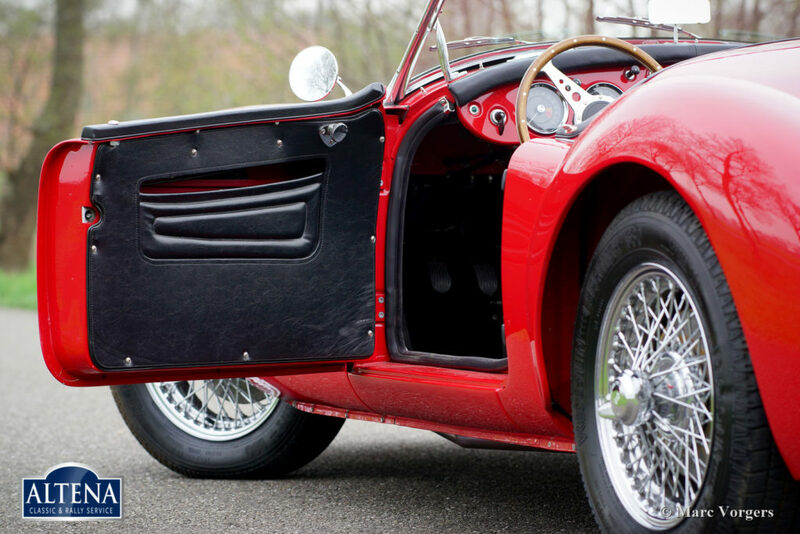 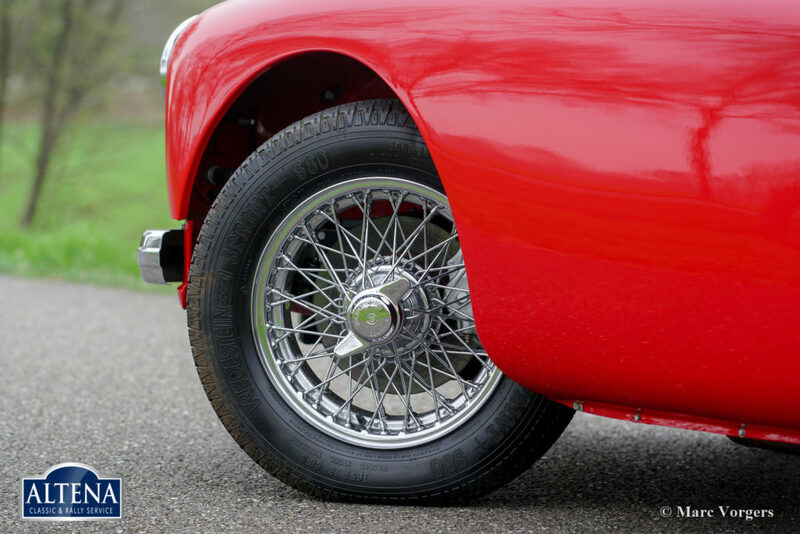 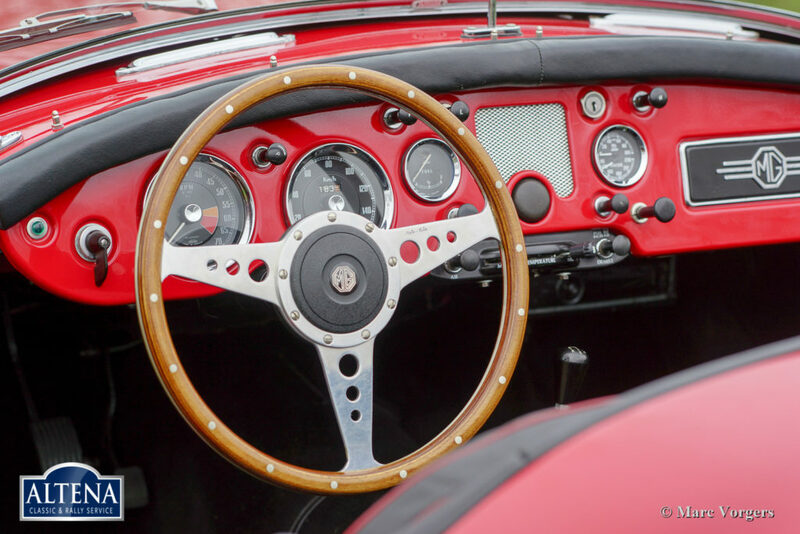 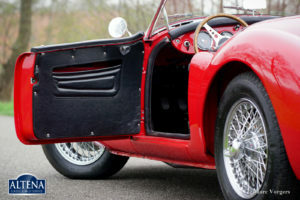 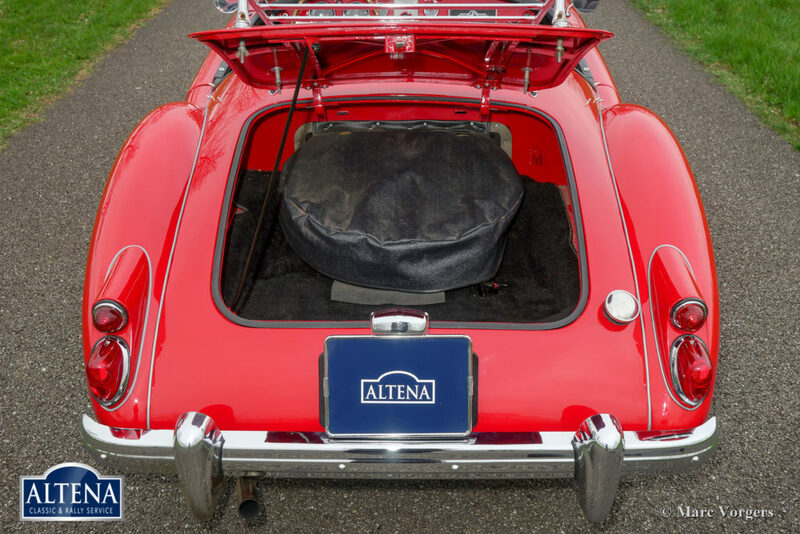 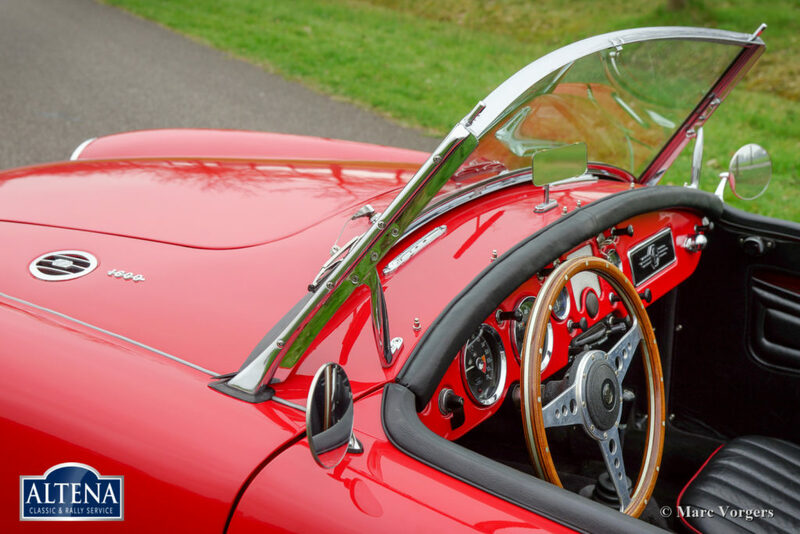 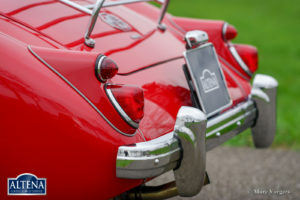 This MGA 1600 roadster drives perfectly, the car is ready to enjoy a long summer!